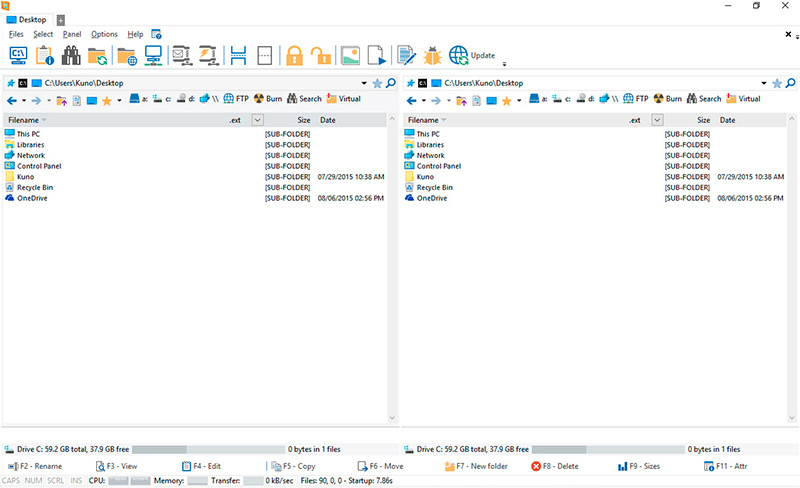 winnc is a tabbed file manager especially developed for windows 8. it also works on the older versions of windows. this nc clone file manager is inspired on the dual panel concept of the old file manager norton commander. it has shortcuts to all the windows 7 special folders and the multiple tabbed interface allows you to organize your data by projects. winnc, a tabbed file manager for windows 8 and 7.